22. 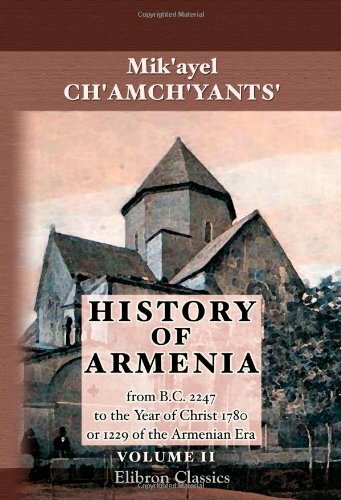 History Of Armenia V1: From B.C. Among the most ancient seats of civilization, the countries of Armenia, Azerbaijan, and Georgia are today independent states struggling to establish their sovereignty and stability. When it appeared in 1983, Transcaucasia was the first scholarly comparative study of this vital and diverse region, little known to the outside world. This revised and expanded edition adds to the historical essays new work on the economic development, demographic changes, and recent political evolution of the region and explores the current problems facing these southern neighbors of Russia. The contributors to Transcaucasia, Nationalism, and Social Change use original research and archival work, combined with broad interpretative essays, to give a full picture of the historical evolution of these three states during the ancient, medieval, and modern periods. Part 1 approaches the ancient roots of Caucasian civilization and the impact of Russian rule. Part 2 looks at the rise of nationalist movements, the emergence of revolutionary parties, and the first wave of modernization of Armenia, Azerbaijan, and Georgia, while Part 3 carries the story into the Soviet period, in which profound social and economic transformations took place. The final section explores the end of Soviet rule and the emergence of independent states. Contributors are Audrey Alstadt, Barbara A. Anderson, Artin H. Arslanian, Stephen Blank, George A. Bournoutian, Nora Dudwick, Charles H. Fairbanks, Jr., Nina Garsoian, Peter B. Golden, Richard G. Hovannisian, Stephen F. Jones, Gerard J. Libaridian, Anahide Ter Minassian, L. H. Rhinelander, Mark Saroyan, Gertrude E. Schroeder, Brian D. Silver, Ronald Grigor Suny, Tadeusz Swietochowski, and R. W. Thomson. Ronald Grigor Suny is Professor of Political Science, University of Chicago. A remarkable view of how geopolitics affects ordinary people, this book documents, in words and pictures, the lives of Armenians in the last two decades. 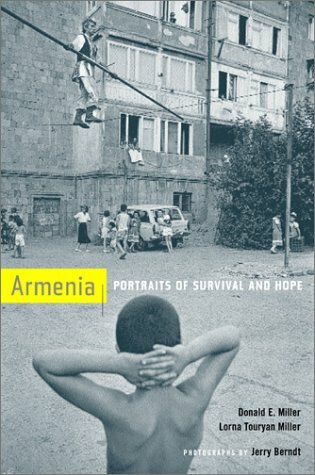 Based on intimate interviews with three hundred Armenians and featuring Jerry Berndt's superb photographs, it brings together firsthand testimony about the social, economic, and spiritual circumstances of Armenians during the 1980s and 1990s, when the country faced an earthquake, pogroms, and war. At times shocking and deeply emotional, Armenia: Portraits of Survival and Hope is a story of extreme suffering and hardship, a searching look at the fight for independence, and an exceptionally complex portrait of the human spirit. 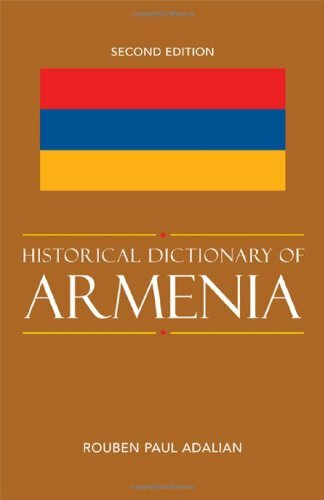 This is the case always when any is published about any subject that bears the name Armenia. Armenia is "fake, bandit, criminal, murderous, genocidal" and the list goes on and on... I again ask objectively and scholarly as to where, when, how, who, why are these people charged with these heavy charges, when it was the OTTOMAN EMPIRE which ruled for over 630 years, over the known Christian world, from the doors of Vienna to the shores of Yemen, and from the Atlantic Ocean to the Black sea shores and Persia. During that period how many millions of Christians were forcefully converted to Islam, tortured, massacred, brutalized, their properties, wives and daughters confiscated and dishonored, and also how many wars did it have against even Muslim powers like the Persian Kingdom, the Berbers, the Albanians, the Kurds and Arabs? Sure, it is easy to yeal "WE DIDN'T DO IT!" in regards to the Armenian Genocide.. Oh but hold it! Don't the Neo-Nazis say the same about the Holocaust? Don't the Khmer militia say the same about Cambodia? Don't SOME Hutus say the same about the Tutsis? DOES THE GOVERNMENT OF SUDAN OR DOES YOUR GOVERNMENT IN TURKEY OR AZERBAIJAN say there is a Genocide going on in SUDAN? (I know exactly why can't you say it). Sudan would tell you to "look into a mirror..."
Do you want just one example of Genocide commited not only against the Armenians, but against every Christian minority for 630 years? WHERE DID YOU RECRUIT THE JANISSARIES FROM...? Being christian children forcefully taken as tax from their parents and grown as turks to massacre christians is or isn't a classical, methodological, systematic way to shrink or eliminate a race? What about the 300,000 Armenians massacred by the Hamidiye forces between 1894-1896? What about the 30,000 plus Armenians butchered in Adana in 1909? What about the 1,500,000 Armenians, and more than 400,000 Greeks, 250,000 Assyrians, and thousands of other non-turkic minorities between 1915 and 1923...? Some Turkish diplomats were shot during the Cold War by Armenian activists? What a pity... 30 plus diplomats for you weigh more than millions upon millions of other people... Elif Shafak the daughter of one of those diplomats shot, is more couragous than anyone to objectively examine for the truth and getting convinced that Turkey did commit the ultimate crime against humanity, that these Armenians acted for the recognition of the Genocide (even though the ways were extreme and sometimes unjustified.) Wasn't it the interior minister of Azerbaijan who in 2005 said that "Armenia would not exist in 30 years from now..? Any better words for Genocide? Let the honest, unbiased, historically sound minded person objectively examine the events, and come to the conclusions. Conclusions that are nowadays reached by Turkish intellectuals (Akcam, Berktay, Muge, Ertem, Zarakoglu, Shafak, and many more) who recognize and condemn the first Genocide of the 20th Century. "NOW GO AND LOOK INTO A MIRROR..."
This book is another cheap-shot in the decades-long propaganda war between Armenian and Turkish and Azerbaijani nationalists. Not only the author tells only one-side of the story, but the book is completely based on fiction and non-facts. It has nothing to say about the massacre of Turks, Kurds, Jews and Azerbaijanis in 1890-1924 by the hands of Armenian gangs and military forces, ethnic cleansing and mass killings conducted from 1988 to present by Armenian forces in Karabakh and other areas of Azerbaijan, and brutal terrorist campaign by Armenian ASALA and other terror groups against Turkish and Azerbaijani diplomats and other civilians throughout 20th century. The author tries to reverse the facts, portray the aggressor (Armenian Republic and its militant gangs in Karabakh) as the victim, and uses religion as a tool to galvanize Christian readers against Muslim victims of Armeinian war crimes. 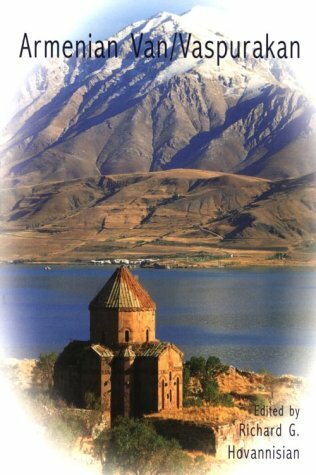 While the conflict is a classic case of territorial dispute and ethnic hatred, the book tries to present the events as a result of a religious war, which is non-sense considering the overwhelming secular character of populations of all sides involved (Turkey, Armenia, Azerbaijan). The only way I would recommend this book - is as an example of the product of typical biased propaganda campaign. 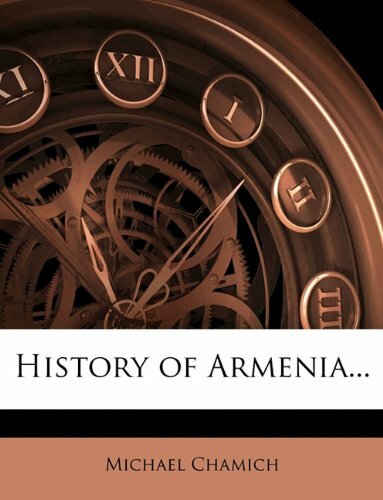 The History attributed to Sebeos is one of the major works of early Armenian historiography. Although anonymous, it was written in the middle of the seventh century, a time when comparable chronicles in Greek and Syriac are sparse. Sebeos traces the fortunes of Armenia in the sixth and seventh centuries within the broader framework of the Byzantine–Sasanian conflict. This book will be of interest to all those involved in the study of Armenia, the Caucasus, the Eastern Roman Empire and the Middle East in late antiquity. It will be of particular value to Islamicists, since Sebeos not only sets the scene for the coming of Islam, but provides the only substantial non-Muslim account of the initial period of expansion. A chronicle of the highest calibre, documenting the Persian -Byzantine wars in the East, as well as providing the earliest recorded information on Muhammad and the early rise of Islam. Remarkably factual, written in a style reflecting the classical historians of the Greeks and Latins, reporting the good with the bad, in an elequent fashion. Sebeos views come from the Armenian stand point, squeezed between the powerful empires of the Persians and Greeks. 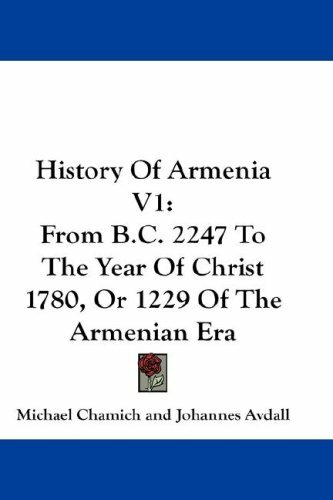 Incoporated in the chronicle are accounts of the schisms with the Grrek Orthdox Church, the persecution of the christian church by the Persians, and the actions and persuasions of the Armenian nobles of the time. Movses Khorenatsi has entered the annals of Armenian history as the "father of Armenian history" because he was the first person to attempt to trace the Armenian peoples' history and document their culture and heritage. Providing magnificently vivid descriptions, Khorenatsi explores in minutiae detail the creation myths of Armenia, the oral traditions, the political and economic situation of Armenia as it fell under the control of the Romans and Persians. This version of the text, however, translated into English by Oxford historian Robert W. Thomson in 1978, is a travesty of a work although not solely because of the translation. Thomson's opinion of Khorenatsi's work in the introduction is undeservedly and ridiculously harsh and he wastes no time in brazenly restructuring History and accusing the author ofbeing a "mendacious faker", along with a whole other line of insulting adjectives which I need not bother to mention. True, it has been established that there are certain anachronisms in the text and Khorenatsi's work certainly has mistakes which are otherwise unavoidable in writing history (a simple breeze through of Herodotus will confirm this). 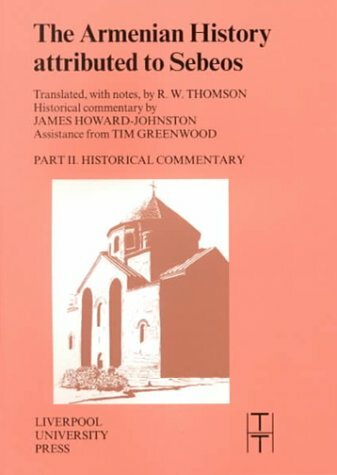 Thomson, though, takes the criticism to the extreme and he blatantly ignores key points made by Armenian and European scholars, notably when he places History in the 8th-9th centuries (there is almost the same amount of evidence that indicates that Khorenatsi was from the 5th century) and takes Khorenatsi's 19th century critics' debunked criticism at face value. For a counter position of Khorenatsi's work, one should definitely consult Armenian historian Stepan Malkhasyants's writings regarding the Armenian writer, including his article "Movses Khorenatsi's Mysterious Background" (which, unfortunately, remains in Armenian). One should remember that scrutinizing an ancient source is necessary for all historians and scholars attempting to reconstruct the past. Numerous scholars prior to Thomson questioned the dating of Movses Khorenatsi but they were able to do so without degrading the quality of the work and the value of its information. Every so often, Thomson lists in his footnotes that Khorenatsi is simply borrowing the wording from other authors (often on the basis of a single word! ), depriving Khorenatsi of any originality or creativity. After reading Thomson's introduction and translation, as one modern historian put it, a student will wonder why he bothered to translate such an unworthy text written by such an untrustworthy author. It is not Thomson's opinion that is at fault, but the arrogant and haughty tone he takes, as if we should expect an ancient historian to somehow somehow conform to our modern standards of plagiarism and scholarly professionalism. From 1915 to 1923, the ruling Ottoman Empire drove 2 million Armenians from their ancestral homeland; 1.5 million of them were viciously slaughtered. While there was an initial global outcry and a movement led by Woodrow Wilson to aid the "starving Armenians," the promise to hold the perpetrators accountable was never fulfilled and a curtain of silence soon descended on one of the worst crimes of modern history. Now, almost a century later, the Armenians are still fighting for justice. After uncovering his family's experiences during the Genocide, Michael Bobelian struggled to rationalize how an event as widely reported as the Genocide -- more than a hundred articles ran in The New York Times in 1915, with a typical headline exclaiming "Wholesale Massacres of Armenians by Turks" -- could fade from public consciousness. Why was the Genocide ignored, forgotten, and, worse, relegated to fiction for so long? What role did America's national self-interest play in helping Turkey evade public accountability? Why did Armenians themselves initially stand silent? Based on years of archival research and personal interviews, Children of Armenia is the first book to trace this post-Genocide history and reveal the events that have conspired to eradicate the "hidden holocaust" from the world's memory. At the close of World War I, the upsurge of support for the Genocide's survivors, considered one of the world's first international human right movements, inspired the few remaining Armenian leaders -- such as Simon Vratsian, the ravaged nation's last prime minister, and Vahan Cardashian, Armenia's chief advocate in the United States -- to seek relief and justice for their people. But despite their tireless efforts, the promises made to them by the war's victors were systematically cast aside during postwar negotiations. In the end, the Armenians received nothing, not even an apology, and decades of silence would pass before the Genocide's survivors -- dispersed, stateless, and on the verge of extinction -- would produce a new generation of activists who would renew their fight for justice. In Children of Armenia, we meet Gourgen Yanikian, a seventy-seven-year-old terrorist bent on revenge, whose act of terrible violence in Southern California galvanized a movement for recognition; Vartkes Yeghiayan, a lawyer who brought a class action suit against New York Life, seeking to win a judgment for thousands of unclaimed policies; and Van Krikorian, who teamed up with Senator Bob Dole to gain public acknowledgment of the Genocide from the U.S. government. 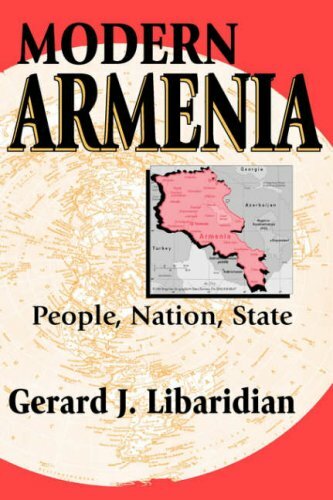 From the initial acts of revenge-fueled terrorism to the birth of an organized movement seeking recognition for these unacknowledged crimes -- including political maneuvering to get a resolution passed by the U.S. Congress -- this is a groundbreaking account of the Armenian struggle to seek redress in the face of recalcitrant perpetrators and an indifferent world. In the last ten years there were published a number of very good and comprehensive histories about the forgotten Armenian Holocaust.One can cite the works of Peter Balakian and Taner Akcam and their excellent surveys on the matter. Bobelian's book is a bit different,because his purpose is not to prove that the Turks have perpetrated one of the most horrendous acts of brutality and thus having-I think- the dubious honour of being the first ones to commit such a crime,meaning a Holocaust in the twentieth century.This book tries to answer the question of the world's indifference to this Holocaust where more than 1.5 million Armenians were butchered by the Turks, using all the possible and affordable means.The Turks spared no one and tried to exterminate a whole people.But the were totally wrong when they thought they would also be capable of exterminating the memories of those who managed to survive.The struggle against forgetting is stronger than anything else- to paraphrase Milan Kundera. Contrary to the wishful thinking of the Turkish authorities, not only had this Holocaust not perished from the consciousness of the human race,but the awareness about it is also steadily increasing and those who are responsible for this should be congratulated.One can witness to what extent the Turkish government is trembling and shaking these days when this issue has finally reached the podium of the American Congress.I have no doubt that a brave decision will be takensoon to finalize a resolution which will acknowledge the Turkish responsibility for the Armenian Holocaust. This book starts with a story of a seventy-seven-year-old man, an Armenian who wants revenge because of what his family went through those horrible years. Then the author gives a very good, precise and concise summary about the events which led the "dying man of Europe"-Turkey-to commit these gruesome crimes.In fact,the idea of the extermination policies against the Armenians started to brew in the twisted minds of the Turkish policy makers at the beginning of the twentieth century,culminating in 1915 when wholesale massacres of Armenians took place.It is well-known that the turks got assistance from the Germans and this was the first rehearsal for the Jewish Holocaust.The Armenian leaders, among them the last Prime Minister Simon Vratsian,have done a lot to seek for relief and justice for their people, but in vain.Unfortunately political interests prevailed over morality and President's Truman Realpolitik vis-a-vis the Soviet Union.The famous doctrine named after the American President has included massive financial help to Turkey which was regarded in Washington as a bulwark against the the Communist bloc.Turkey, we are informed,received by 1970 3 billion dollars in military assistance and another billion in economic aid. As a result of the manslaughter, the Armenians "suffered from a dearth of leadership, because the Turkish crimes have wiped out the adult population,leaving a generation of refugees and orphans with no guidance".The Armenian Diaspora was powerless to promote the memories and their interests and it would take at least three decades for anew generation to continue and pursue the matter.No apologies were offered,no compensations were granted and the Turkish authorities promised to chase and threaten those who advocated the recognition of the Armenian Holocaust. Mr. Boberian is absolutely right whn he gives the example of Jewish and Israeli leaders who tried to dodge this issue.After all, the Jewish people lost six million in a horrible Holocaust and therefore one could have expected them to lead to fight for the Armenian cause.But in vain.When a conference was planned in Tel-Aviv, the Turks threatened to sever their diplomatic relations with Israel.Even Mr. Shimon Peres,then the Foreign Minister,intervened and asked the participants to exclude the Genocide from the conference.Among those who surrenderedwas also Mr. Elie Wiesel.We also have a detailed description about Senator Dole's efforts to team up with other Armenian activists in order to raise the issue in theAmerican Senate.The author is also critical about his own brethren,blaming them for spending a "great dael of time and energy trying to preservr the pre-Genocide past rather than redefining themselves for the modern world". Why should one want to read this book? First, this opus is extremely well-researched and documented.Second,this is a chronicle of endless efforts by a minority against forgetting.Third,this is a small, modest but very essential contribution in the fight against denial.Fourth, it will help augment the fight against the Turkish authoritieswhich are still refusing to come to terms with their ghoulish past. In the waning days of the Ottoman Empire, various ethnic groups came under deadly assault by Turkish authorities and people, and perhaps the group which suffered the most was the Armenia people. In the years after this first of all genocides, the Turkish authorities launched a campaign of denial about the events of the genocide, seeking to minimize or even completely whitewash the events. This is the story of the genocide, and the century-long struggle that the Armenians have had to wage to receive any sort of recognition of what happened. Overall, I found this to be an interesting book. Instead of being a history of the genocide itself, the book gives no more than an introduction to it, instead focusing on placing it within the context of what was going on in Turkey at the time. Then the book goes on to tell the story of the Armenians and the Turks, as they moved through history - one seeking full recognition of the genocide, and the other seeking to deny it. I found the book to be interesting, and quite informative on a subject that I must admit that I knew basically nothing about. The book was well-researched and written in an interesting manner. 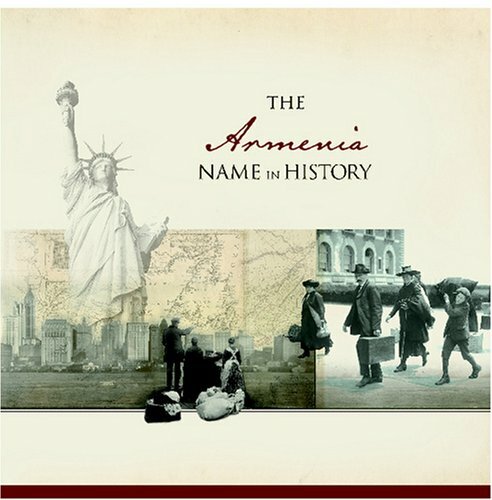 If you want to understand the modern Armenian people and their recent history, then you should read this book. 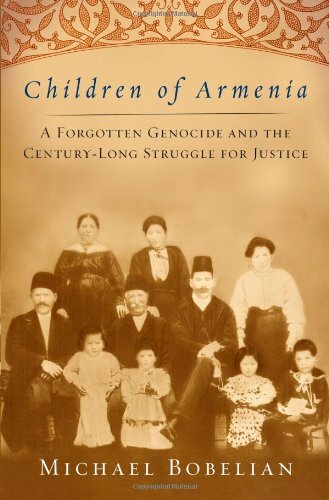 Until now, it has been far easier for an American reader to learn about the facts of the Armenian Genocide, which took place nearly a hundred years ago, than to trace the story of the Genocide's survivors: how they have variously attempted to seek revenge, justice, or at least acknowledgement of what happened to their families and forebears.Children of Armenia: a Forgotten Genocide and the Century-long Struggle for Justice, by Michael Bobelian, a Columbia-trained journalist and lawyer, fills in many of the gaps, and does so in a vivid and highly readable way.Episodes that Bobelian sheds particularly helpful light upon include the short-lived First Republic of Armenia (1919-20), the assassination of Archbishop Tourian in a New York Church on Christmas Eve 1933, the effects of the Cold War and the Truman Doctrine in changing the equities and the attitudes of the U.S. Government toward Armenia and the Armenians, the reawakening in the 1960s of Armenian consciousness and assertiveness concerning the Genocide, the period of terrorist assassinations of Turkish officials in the 1970s and 1980s, and the prodigious efforts of Armenians to win recognition of the fact of the Genocide in Washington, against the intense pressure of Turkish official denial and behind-the-scenes lobbying.This book in many ways picks up where Peter Balakian's 2003 The Burning Tigris: The Armenian Genocide and America's Response left off.It continues the story right up to our own time and the recent "football diplomacy" between Yerevan and Ankara.While I had a quibble with a turn of phrase here and there, Mr. Bobelian's overwhelming contribution is to have made a very complicated tale comprehensible to an outsider, and to have provided illuminating portraits of so many of the key actors (for example, Gourgen Yanikian, Senator Bob Dole, Van Krikorian, Vartkes Yeghiayan) in these interlocking dramas, all of which have roots in the Genocide, but each of which is in some way unique.I heartily recommend this book to anyone seeking to understand why it is that Armenians care so passionately about the Genocide. 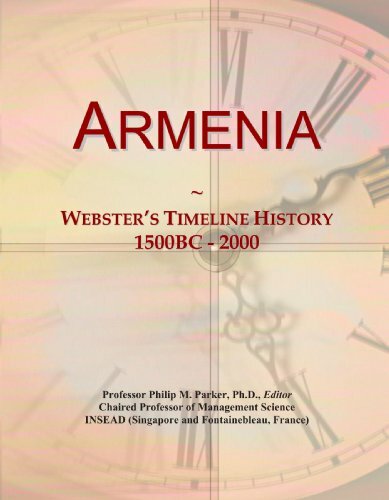 There are a number of books that describe the events of the Armenian Genocide, but there are no books, other than this one, that describe the struggle for recognition of that genocide between 1915 and 2008. This book is the seminal text on this topic. At the outset, and of particular relevance to the general reader, I think its important to say that this is not a dry tome recounting facts and dates. On the contrary, it is a fast-paced narrative that tells the story of the struggle for recognition of the Armenian Genocide through the lives of three men. The book opens with Gourgen Yanikian, a 77 year old terrorist plotting the assassination of Turkish diplomats as his final act of revenge for the horrors that haunt him. We then meet Vartkes Yeghiayan, a lawyer who brought a class action suit against New York Life, seeking to win a judgment for thousands of unclaimed policies. The third character is Van Krikorian who together with Senator Bob Dole campaigned tirelessly to gain public recognition of the Genocide from the US government. Within this accessible narrative, Bobelian unfolds, never-before-seen research into the reaction of the US government and individuals within the government to the cause of Armenian Genocide recognition. The compelling question Bobelian tries to answer is how the United States went from front-page outrage in the New York Times and other newspapers of record in 1915 to the failure to recognize the genocide as such almost 100 years later.Bobelian offers a balanced explanation, clearly explaining the geo-political role that Turkey has played in US foreign policy, especially since the Second World War, but also describing, in nail-biting detail, the frantic lobbying of US politicians by the Turkish government and the susceptibility of American politicians to, and complicity in, this seduction. 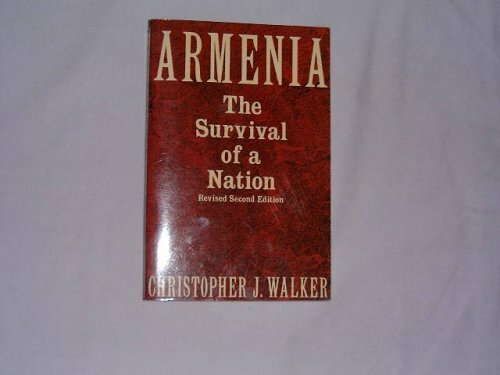 This book obviously has an urgent and deep significance for Armenians today. But it is also shot through with universal themes and insights that are compelling to non-Armenians. Firstly, the issue of genocide recognition, whether it be the Jewish Holocaust or the current genocide in Darfur, is obviously of the utmost urgency to all human beings. Echoing the well-known poem by Pastor Martin Niemöller, this book makes one reflect on one's own insecurity should one find oneself, or one's kin, the victims of savage, uncivilized, state-sanctioned thuggery, and buried for decades beneath an immoral geo-political calculus. Secondly, the book speaks to the role of memory in cultural identity. On the one-hand there are the Armenians whose cultural-identity is gripped by the need to remember, while on the other the modern Turkish identity seems to require a continuous forgetting. Thirdly, the context of this book in the life of its author is one to which many will relate and draw inspiration. Bobelian's family barely survived the Genocide. 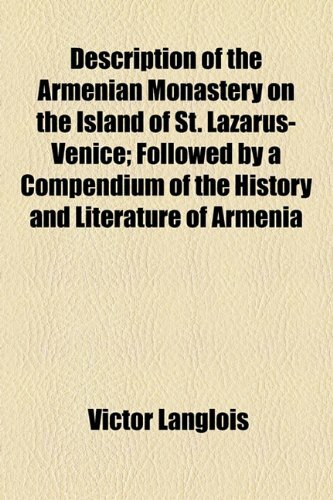 One cannot help but feel, from the immense amount of research (the copious footnotes span some 45 pages at the end of this 293 page text) that to read this book is to witness a dialogue through diligence between a modern urbane Armenian-American author living in the 21st century, and an unresolved past. As such it speaks to a universal human condition; our capacity for empathy with past injustice visited upon kith and kin, our inherited commitment to see justice done, the weight of that inheritance, and our own search for self-actualization and peace along the way.